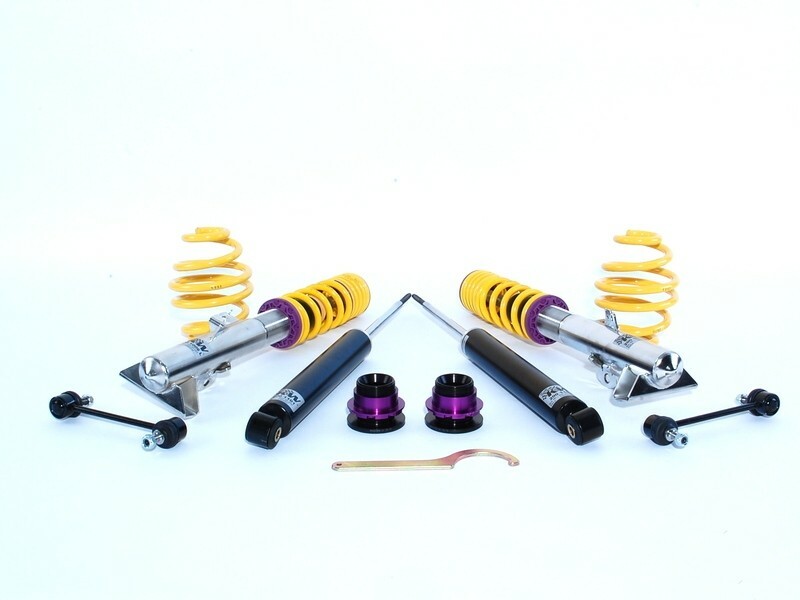 Sporty and personalized with adjustable rebound dampening. This system is designed for the driver who requires not only determining the individual lowering of their vehicle, but having the ability to adjust the damper settings to fine tune the system to their needs. 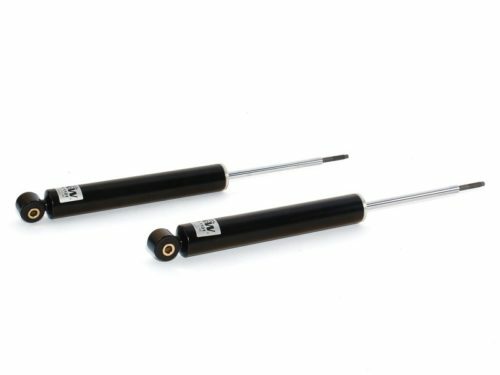 The adjustable rebound damper allows adjustment of the pitch and roll of the vehicle adapting it to one’s own driving preferences. 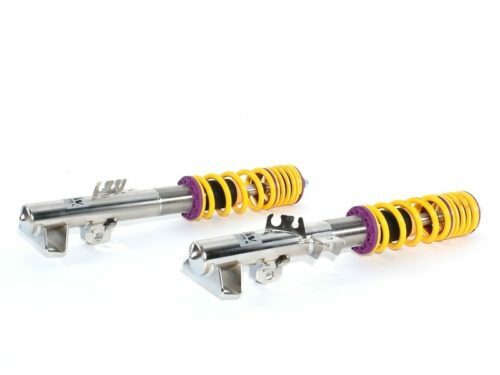 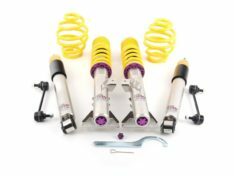 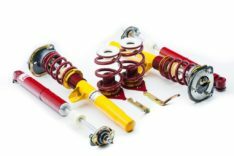 The KW V2 coilovers are intended for the experienced drivers who not only wish to adjust ride height, but also want to determine the rebound characteristics. 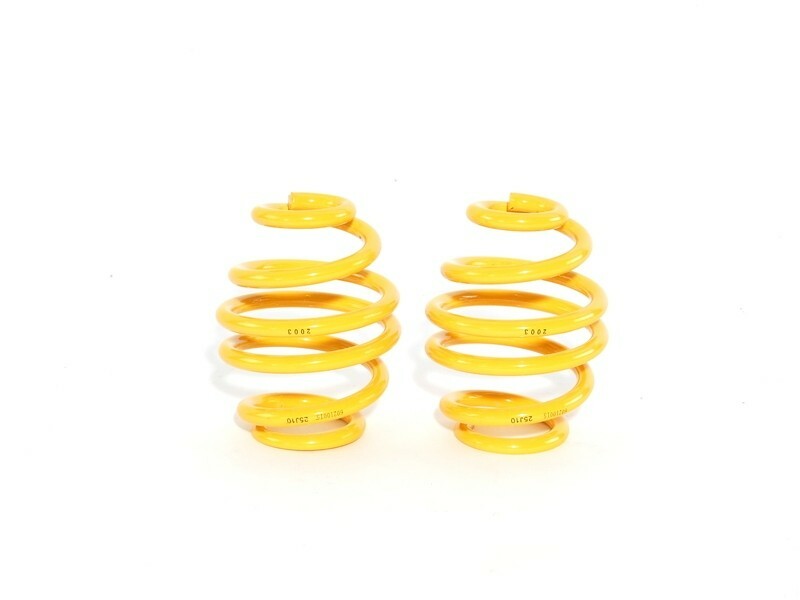 Rebound dampening primarily controls the pitch and roll of the vehicle, especially in the low speed dampening range which directly influences handling and comfort. 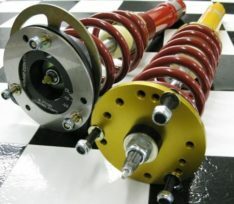 The rebound adjustment is externally adjustable via an adjustment spindle at the top of the shock. Range of lowering is 1.2-2.3″ in the front and 0.8-1.8″ in the rear.